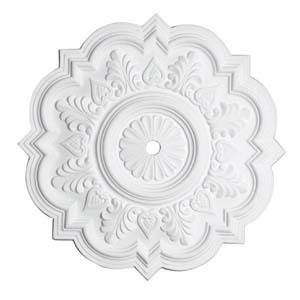 We carry ceiling medallions from a reproduction company. The medallions are made of a compressed foam called polystyrene. They are very light weight and easy to install. The designs are authentic as they mock a few of the most popular original antique molds. Please contact us for current pricing and availability.